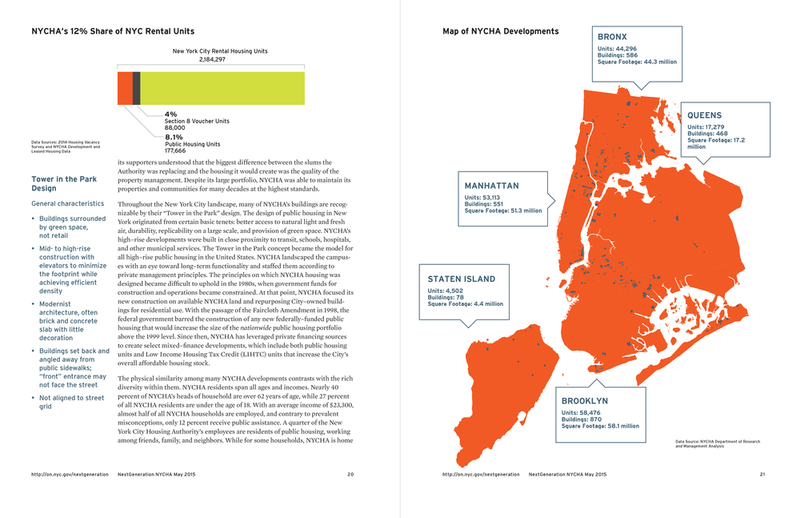 I took an existing template from NYC and Co., and created a unique look for NYCHA's NextGeneration Plan released in May 2015. 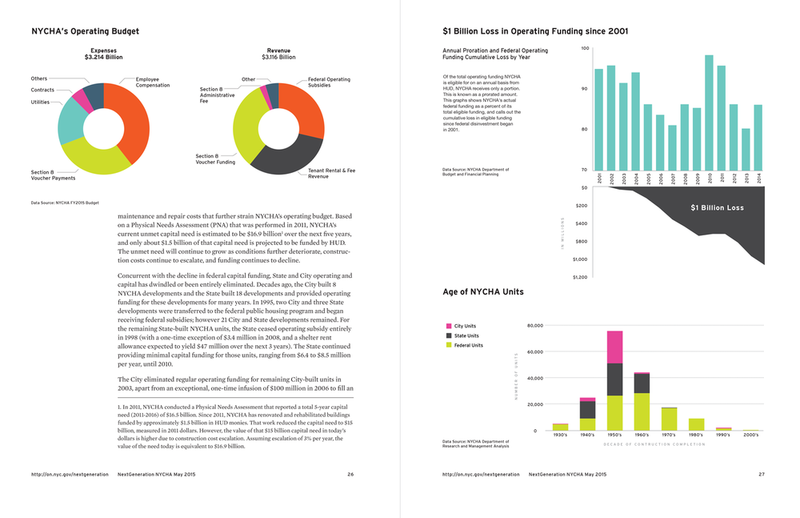 I used NYCHA's existing branding guidelines and added a second color palette to create more compelling graphics and embolden the type. The refreshed brand helped appeal to NYCHA's diverse audience.